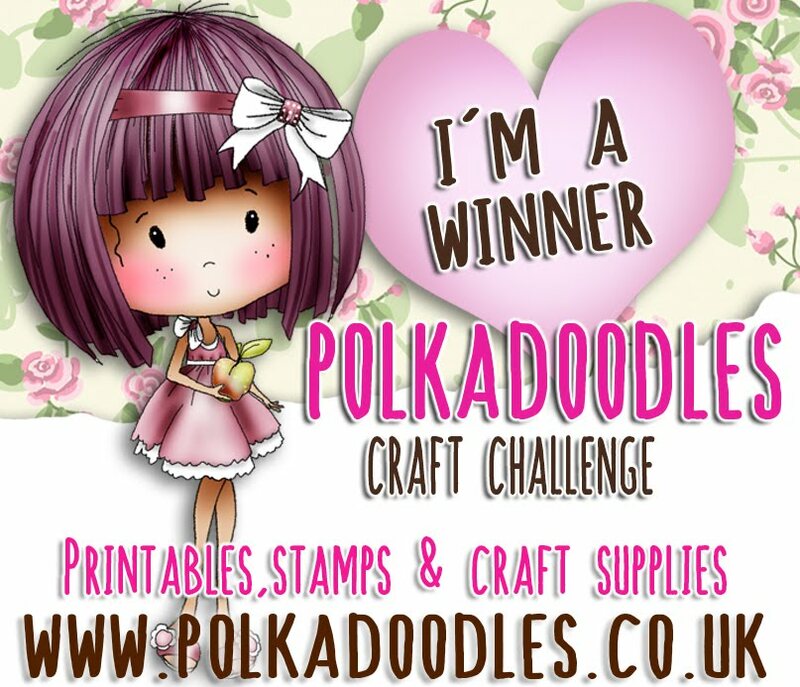 Firstly, make sure you check out the Polkadoodles store this weekend as we have a brand new release coming your which is just to die for! and if you use the code COUNTRY at the checkout you can save 15% until 31st March! 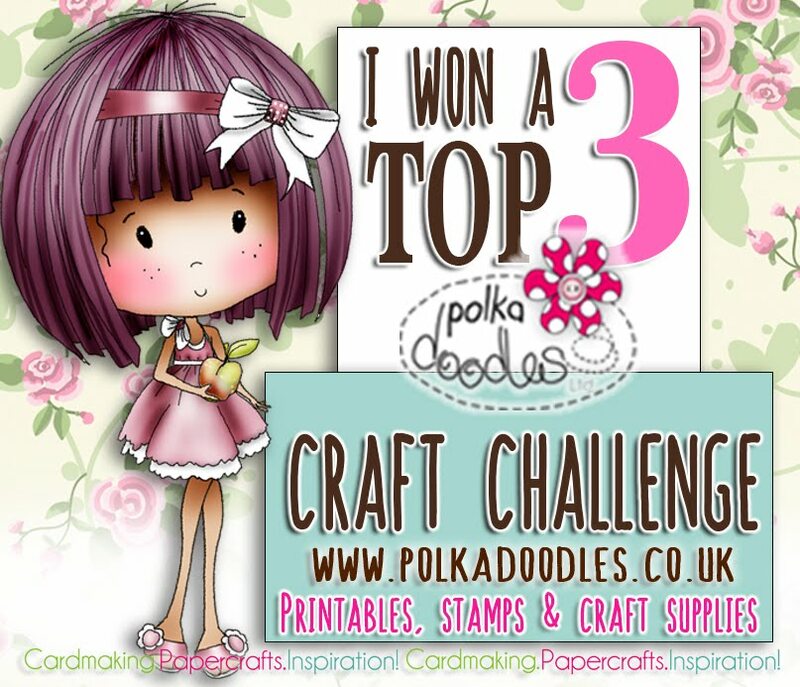 Remember, you do not have to use Polkadoodles products to enter our challenges. You have until 12 noon. GMT, Friday 10th April to enter. Now let's see what the Design Team have been up to. Naz - The image I have used here is the Bride/Princess Color digi from the Work & Play Collection 9 - Love & Kisses - I have added some glitter accent and a pearl to the image for embellishment. All the papers I've used on this card are from the same collection. I've used some distress ink on the edges of the papers.I have finished off the card with a sentiment and a heart banner. 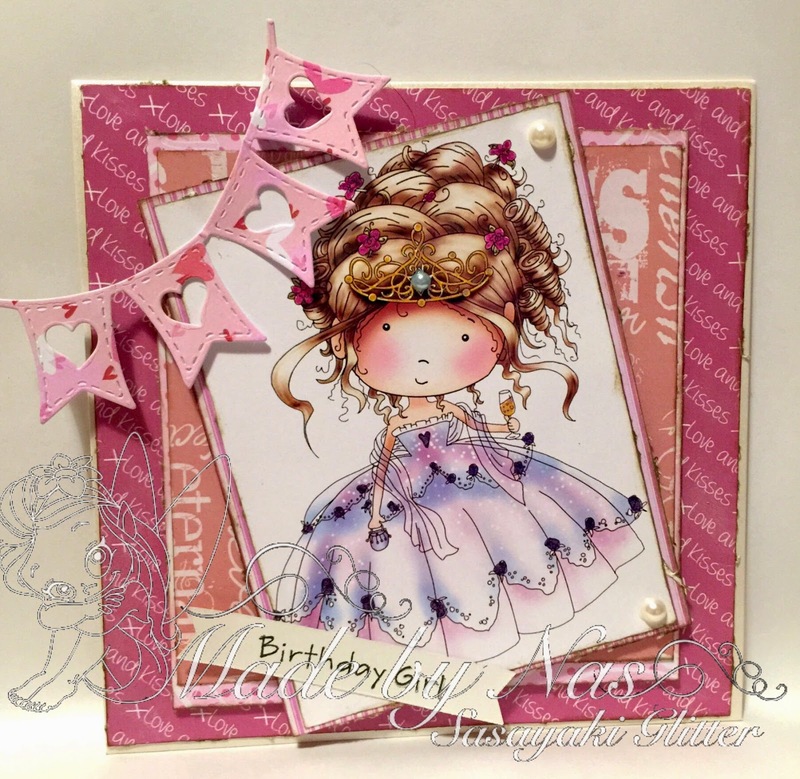 Jenny - I've used the pretty collection Cherry Blossom Lane for my card this week. 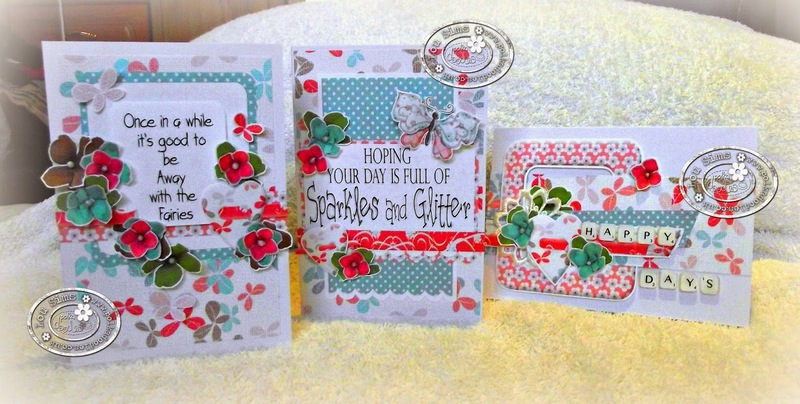 We all use dies quite a lot so for this card I decided to go back to a bit of decoupage. My die is a Tattered Lace one and is very useful. I hope you can come on over for a visit to see what I did to make this. 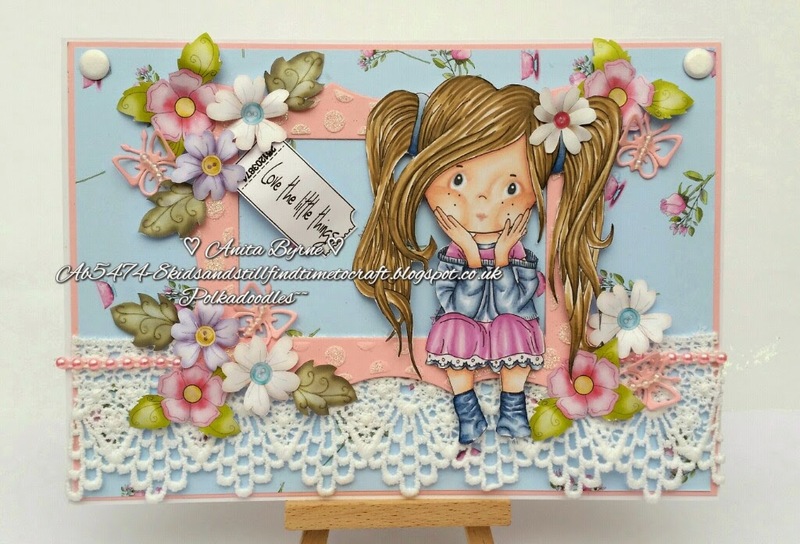 Ruth: This was a special Birthday card for a Manchester City mad lady - I used the Work and Play Footballer Girl digi stamp and coloured her up with Promarkers. 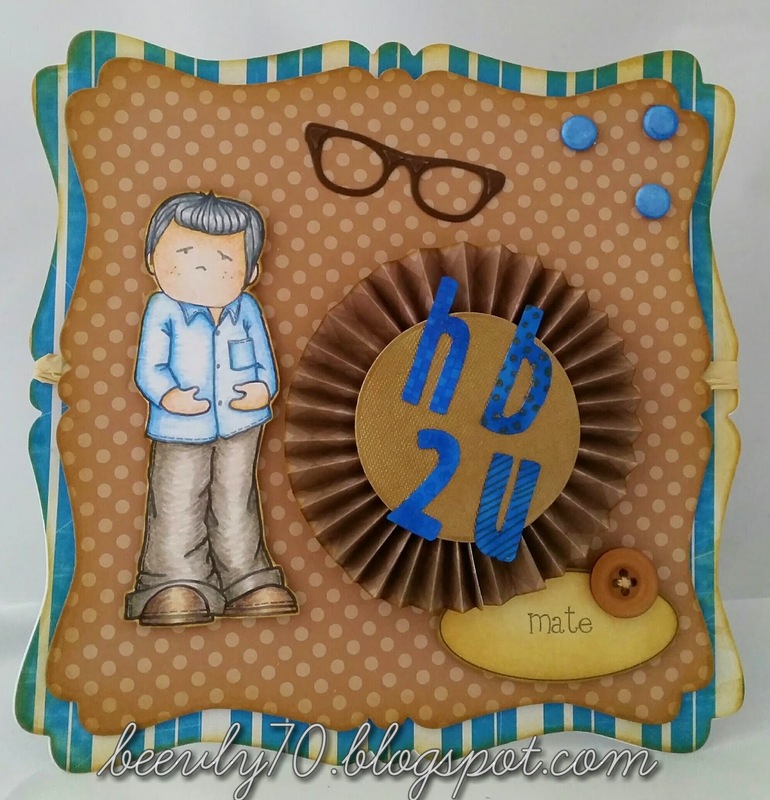 The die used is the grass Sizzix die and I hand wrote the Birthday flag. Anjie - The image and papers are from the Work and Play 6 CD. This is also available as a download HERE. Or you can just buy the Landlord digi image HERE. I've coloured him with my Graph'It Markers. I have used a Spellbinders die to cut the image out, a Marianne die for the clock and a Tattered Lace die for the bottle and the sentiment. Bev here and his fortnight I've made a card is for my neighbour. 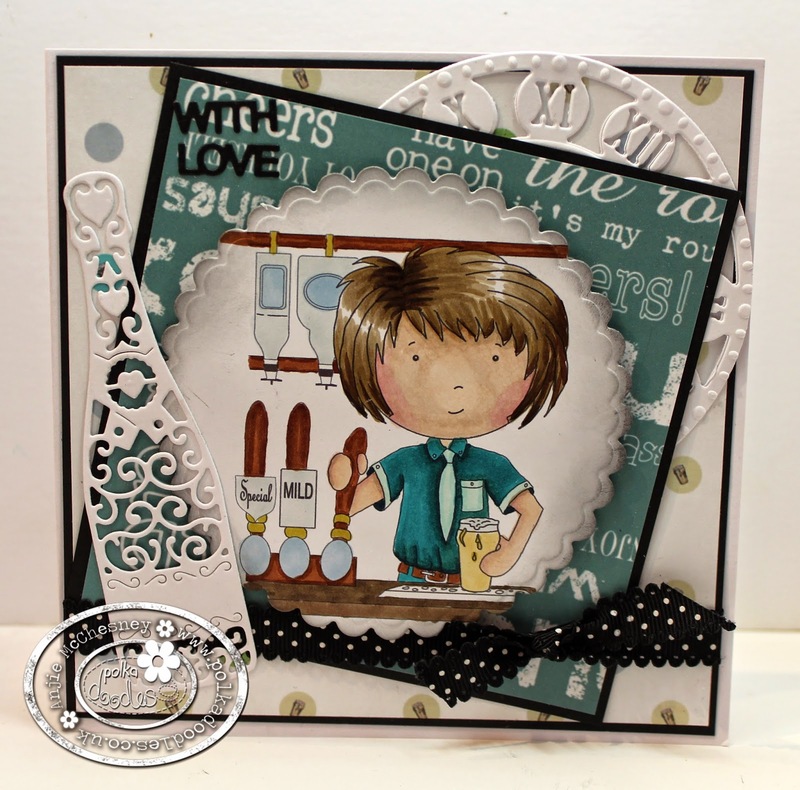 Pretty Tuff is a fab resource for male cards. I used pencils to colour in Dylan, The papers and sentiment are all from the CD. The hb2u lettering is from another fab CD Cherryblossom Lane but coloured in with Graph'its to change the colour. 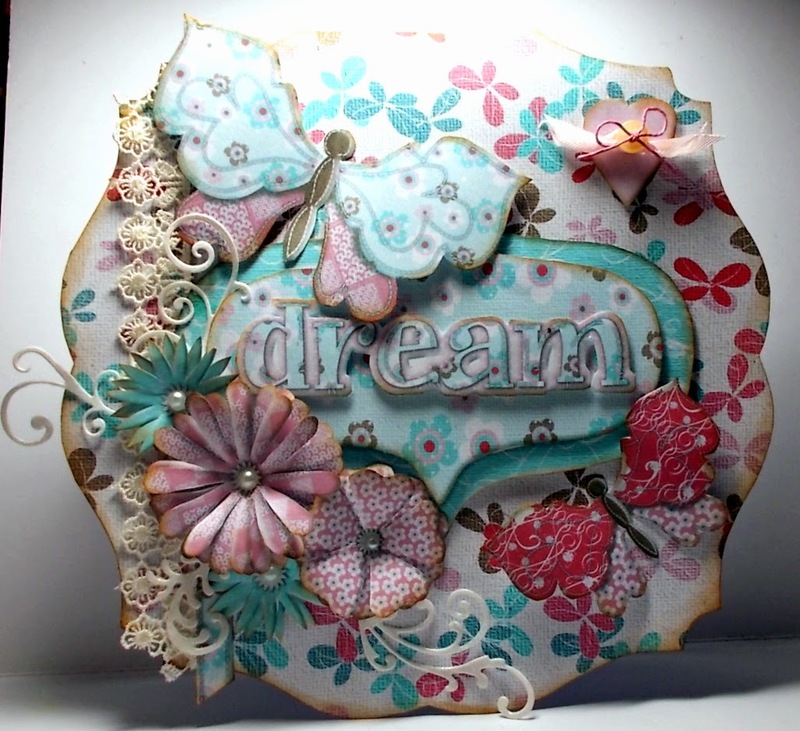 Susan ~ Happy Friday everyone and believe it or not I have used a die, but most of it is covered with embellishments. 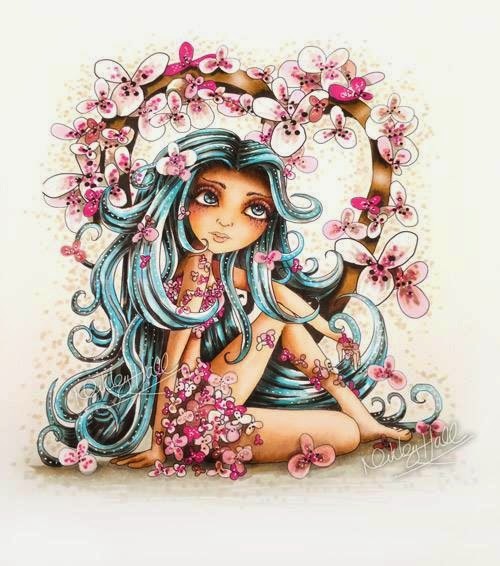 I have used the Stunning Eden collection yet againI have used Graph'it Markers and Pencils to colour her. 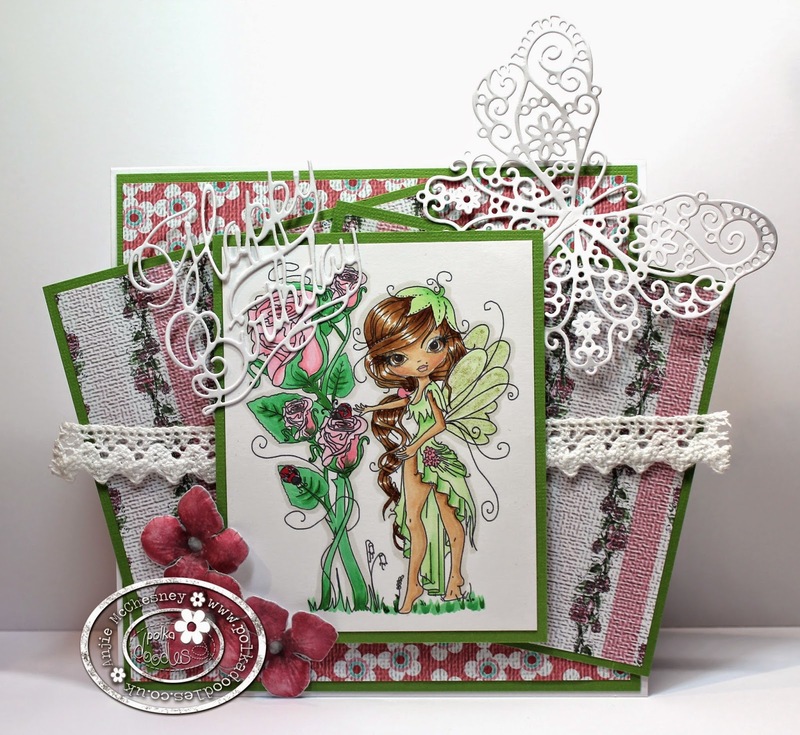 Anita ~ Hello there today I brought to you paper from the sugarplum daisy collection and flowers from sundae of seasons and used the gorgeous piper with bunches and yes I used 1 die and coloured with alcohol markers. 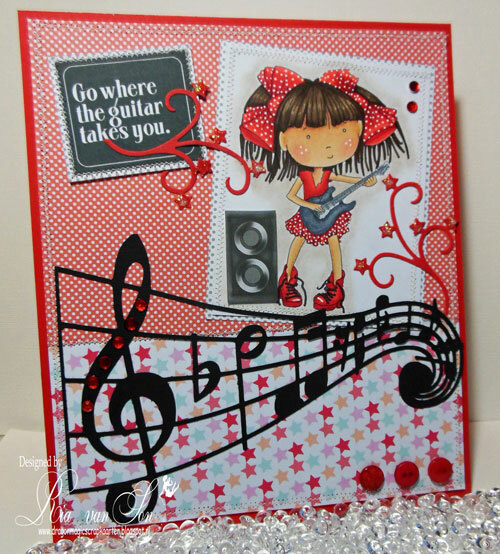 Ria: For my card I used the Work and Play 8 collection Music. I coloured guitar girl with alcohol markers and enhanced her skin with pencils. The white dots are made with a white Molotow marker. The 2 red star dies are not from this collection everything else on my card is from the Music collection. Claire C I've used lots of papers, embellies, flowers and butterflies from the gorgeous Octavia Moonfly collection (which you can get as a download here or on CD here). There are so many goodies in this collection I went into a bit of a printing frenzy so I didn't need to add much else, just a little lace and some die cut flourishes. Jane: I have used "Amelia Contemplating" image from the Pretty Sweet collection (which is available as a digi download). Papers are from the Pretty Sweet CD. I have added a window die cut as my embellishment. 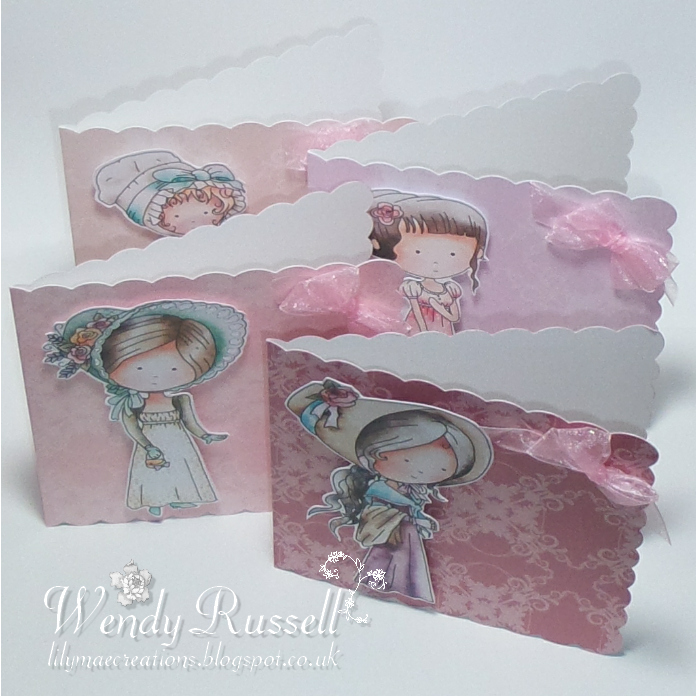 Wendy - I've made a notelet set for this challenge. Inside the box are 4 mini cards, which have all been printed directly onto with colour co-ordinating papers from the Rose Budd Collection. The images on each notelet are pre-coloured and from the same collection, however each can be bought as an individual stamp aswell. here Miss Rose, Miss Constance, Miss Harriet & Miss Hetty. What stunning makes the team have made! Looking forward to seeing all your wonderful creations again and thanks for joining us this week! Happy Friday Everyone and welcome back to another great challenge week! You have until 12 noon. GMT, Friday 27th March to enter. 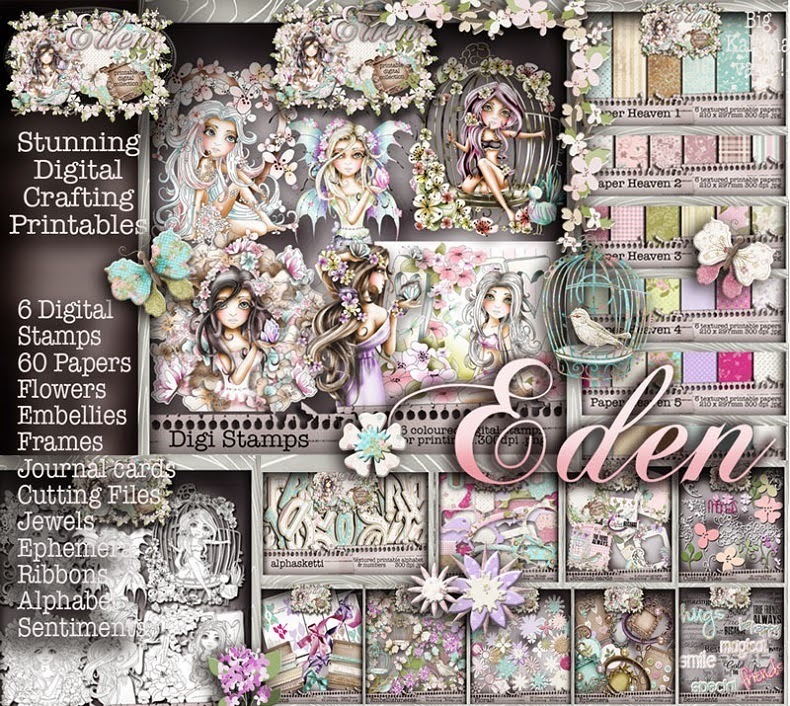 The Random Winner of this challenge will receive a download bundle of the whole Eden collection which includes this fab image - WOW! The winners of the Week 9/10 - Ribbons and Lace is at the bottom of this post. Naz- For this card I used a image from Work & Play Collection 9 - Love & Kisses called The Hen, and I made some changes to the image. I added a party hat which is also from the same collection instead of the tiara and veil she was wearing. The cake is also from the same collection, I only added Happy Birthday sentiment and a candle. I coloured the image with Copic Markers and added Wink of Stella clear glitter pen to the balloons and the roses on the cake. I then added some glitter pen to the details of her hat and finished by adding some glitter gel to the feathers on her hat. To finish off used some pearls for the embellishment. I typed the sentiment in word and print it off. Bev here, I've used the very versatile Winston CD for my project this week. I think the black and white gives a very dramatic look so you need very little else, maybe a fancy die and a bit of bling. 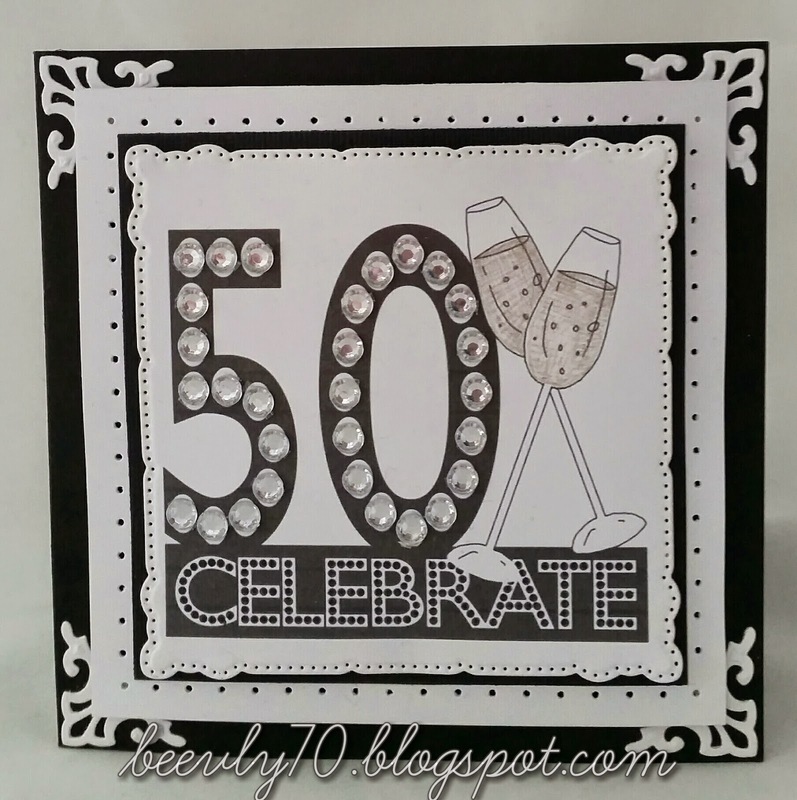 Jenny - Hello, I have been looking through some of my collections and love the simplicity of this image so decided to use it to make a 40th birthday card. I have used the Double Sprinkles of Kraft this time and I do like the fact I can make the whole card from one collection. 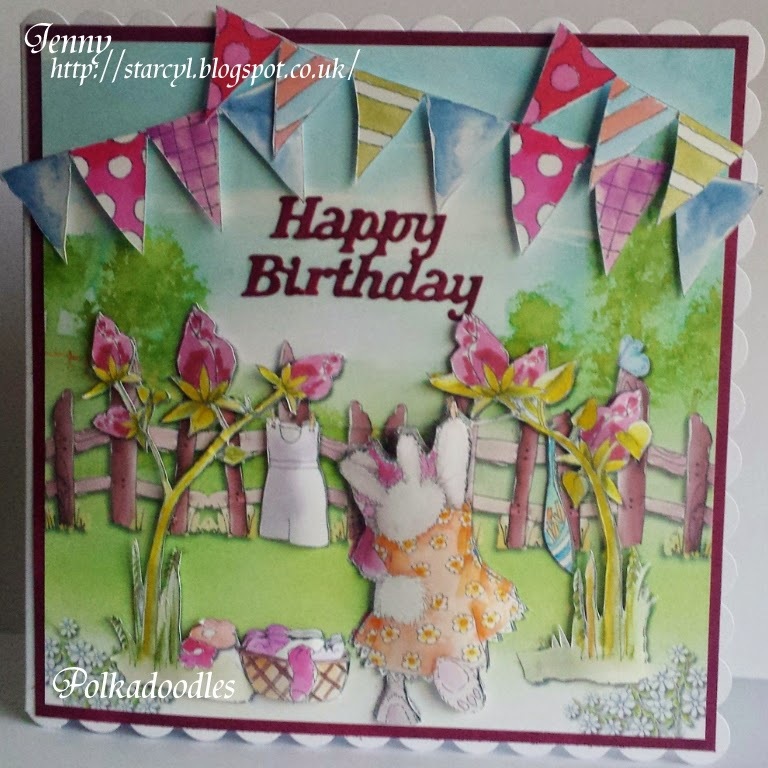 Hope you can pop over to my blog to see what I did. Anjie - The image, papers and flowers that I have used are all from the beautiful Octavia Moonfly collection which is available as a CD or as a download bundle. Or in smaller download collections which allows you to collect it in little bits should you need to. The image, Rose Garden, is also available on her own should you just want to buy that. I have used Graph'it markers and pencils to colour her. 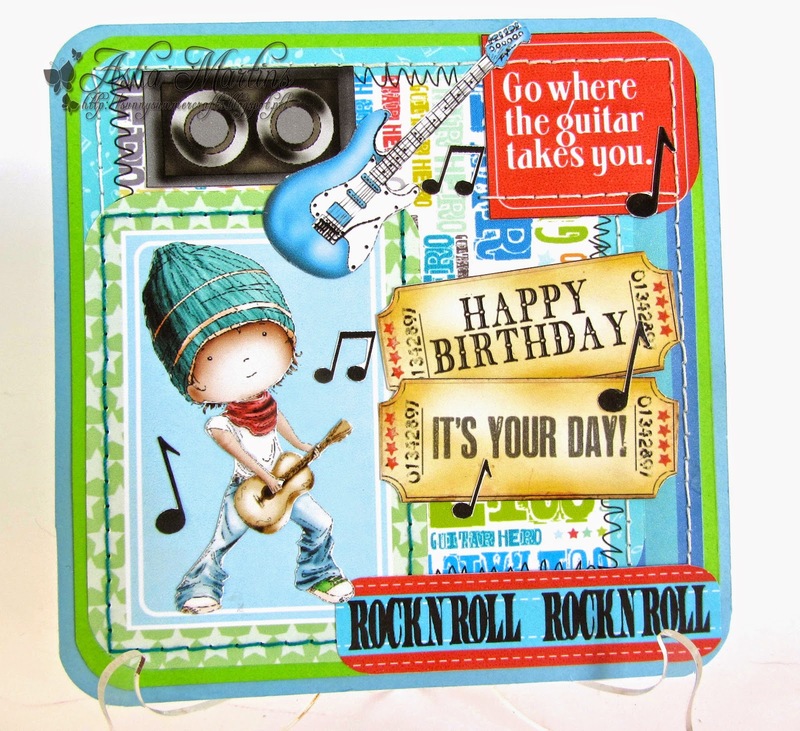 Wendy - For my birthday card this week I've used several elements from the CD Double Sprinkle of Kraft. The papers on the disc are beautiful, as are the images and there are so many to choose from, all giving the Kraft feel. The flowers are also cut from one of the sheets, layered up and finished with pink pearls. For the sentiment, I've chosen a birthday one to suit the theme, but there a loads of sentiments to choose from. You have won a download of The Love and Kisses Collection! Congratulations to all, thanks for your participation and do not forget to claim your blinkies from the sidebar. Thanks so much to all of you for your entries, we truly love to look through all your work every week it's very inspiring to see all your amazing creations! Have a fabulous week everyone - we'll see you back next week!! Happy Friday, one and all! Have you all had a great week? Beautiful, stunning, gorgeous, collection of amazingness! You can WIN this beautiful collection this week! for our new challenge this week. every day it's someones birthday, isn't it! The Random Winner of this challenge will receive a download bundle of the whole Eden collection above! WOW! If you would like to go check out her blog, just click on her name. amongst the DT inspiration for you this week. Asha - I made a birthday card for my 8 year old nephew using the marvellous design sheet from Work & Play 8 Music. I didn't add any embellishments. Instead, I filled the card with bits and pieces form this sheet to create a fun, bright and LOUD card that will appeal to any young man. 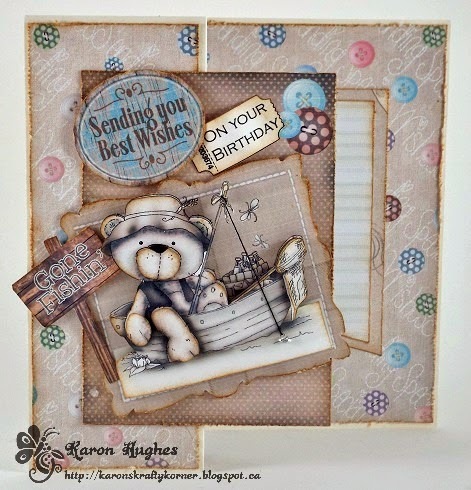 Karon - Thought I would make a masculine card ready for hubby's birthday in May. 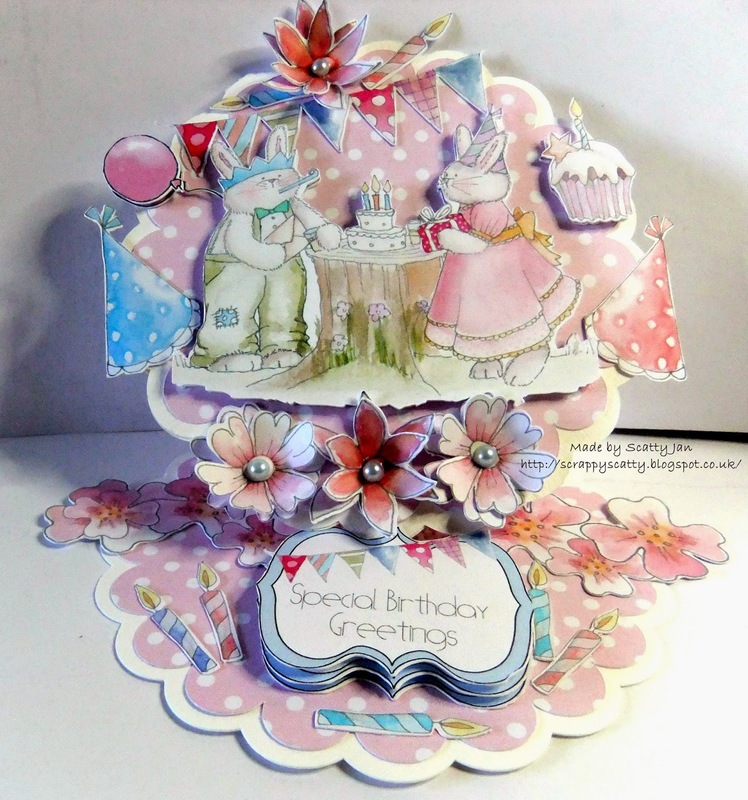 Using the fabulous Winston Delux Papercrafting CD collection. This is a wonderful collection and if you like Kraft you will love this! Lots of lovely scrumptious papers, and of course this wonderful ted! 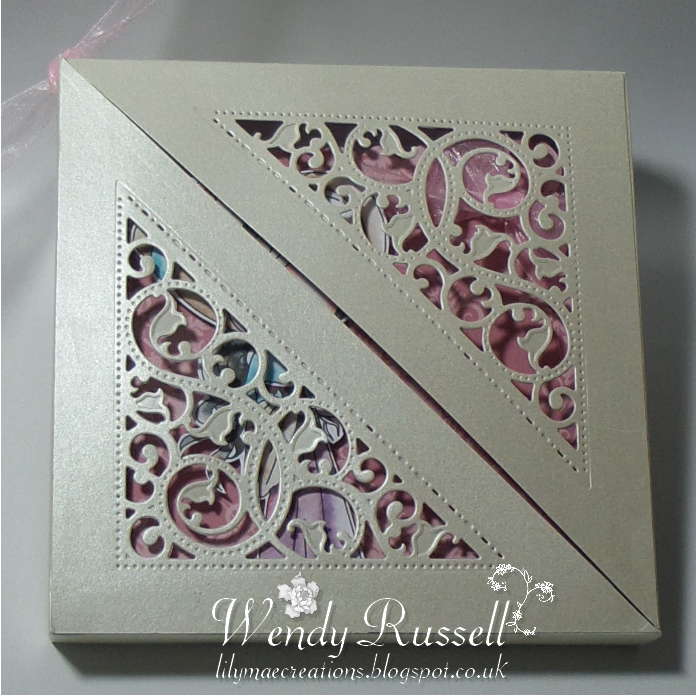 I used one of the design sheets, and added some lovely papers, all from this CD. Layering him up and adding a little cotton for his fishing rod, and some glossy accents to the fish bait. Christine I used the wonderful Work and Play 9 Love and Kisses Collection. I used the Love and Kisses Digi and I coloured her with Spectrum Noir Markers and Coloured Pencils. 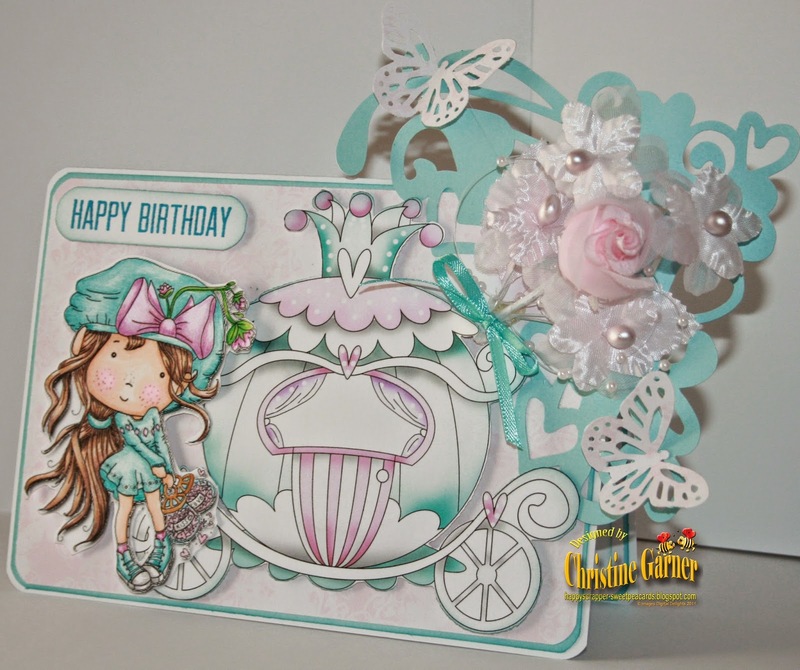 The carriage comes with the set, I used the Print and Cut feature on my Silhouette for it. I also used one of the cut files that came with the collection also. Put some finishing touches with some flowers and punched butterflies. 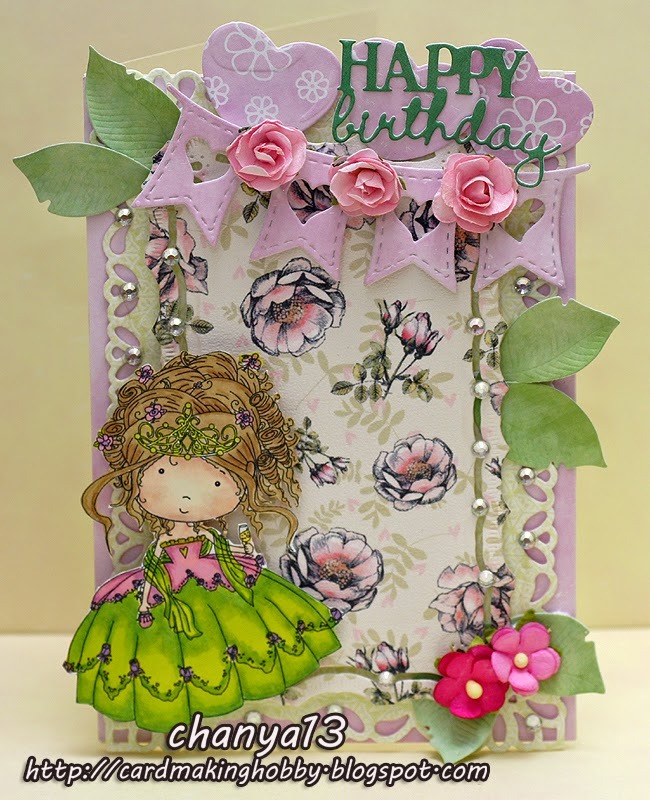 Penny: For my birthday card I used the beautiful Amelia with elements from Work and Play Collection 8. The card started with the frame which I layered five deep to add some depth. 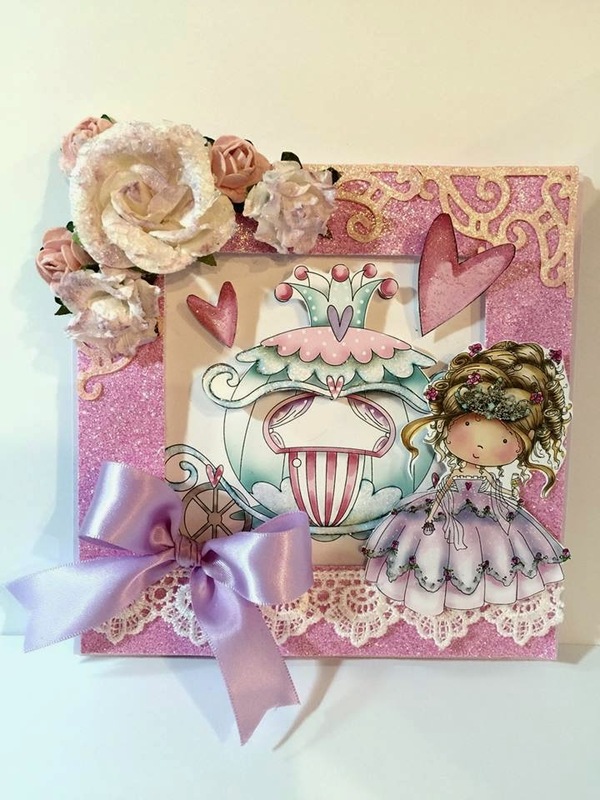 I used the print and cut feature on my Sil Cameo for Amelia, the paper layers and the frame, as well as that cute little bow, with some simple distress ink on the edges. More details can be found on my blog. 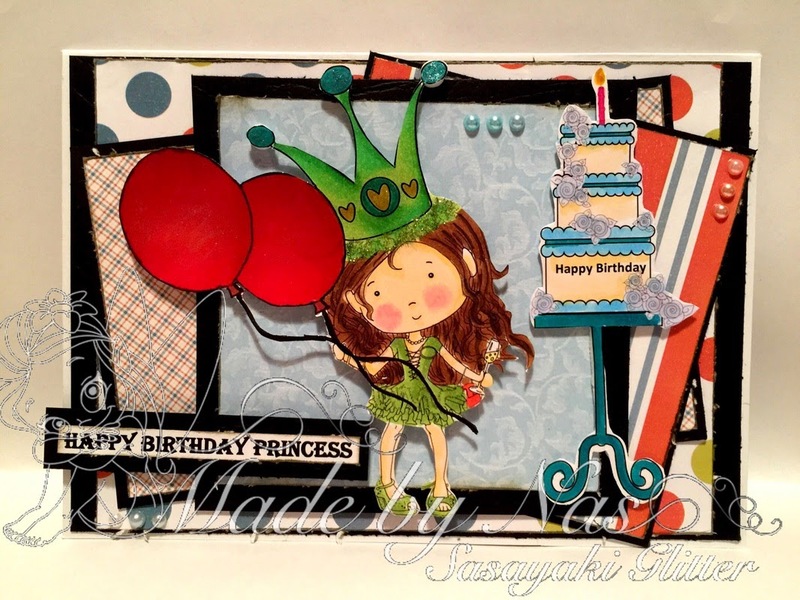 Agnieszka - hello :) Today I want to share you my birthday card. 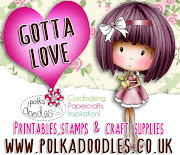 I used a digi image and flowery paper from Work & Play 9 Love & Kisses - Full Download Bundle. I colored it with Promarkers, I added a ballons and heart banner, a few flowers, crystals and dies cut - my card is ready, hugs. Melanie - For my birthday card I decided take some lovely floral letters from the Picknix CD. I printed them out twice - once onto plain paper and again a thicker cardstock - then carefully hand-cut each letter. 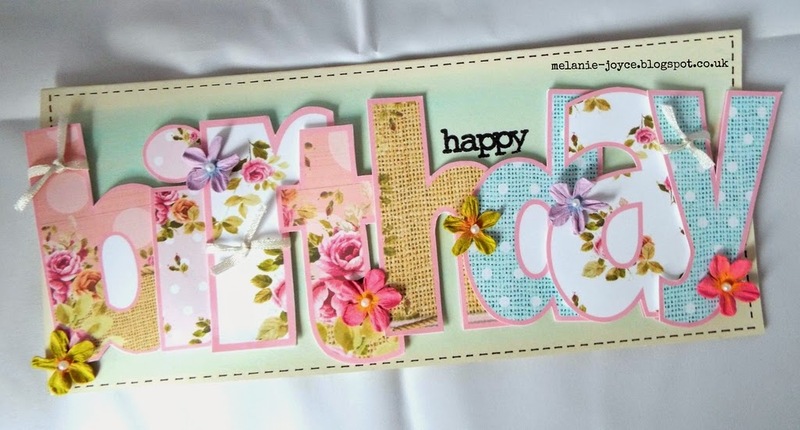 I arranged the paper letters overlapping onto a watercoloured card blank, then added my thicker cardstock letters on top using 3D foam pads for dimension. 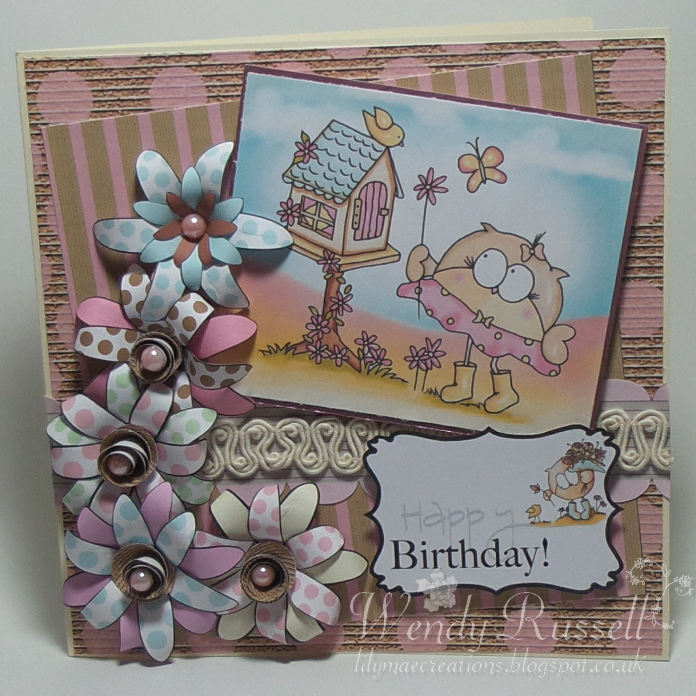 A stamped 'happy', some thin satin ribbon and pretty pastel flowers finished my design. I hope you like it! Jane - Still dragging the chain but here is my Birthday inspiration using my favourite medium Copic Markers. I have used one of the images from Work and Play 8, Music. of different collections being used. will be announced next Friday. Then why not take a look at the fabulous new realease! Out this week and available now!! immediate download if you don't want to can't wait for the postman! Stunning new collection. You will love Nikky's amazing art work in this collection, so beautiful! The Random Winner of this challenge will receive a download of the Love and Kisses Collection which includes 16, YES, 16!!! 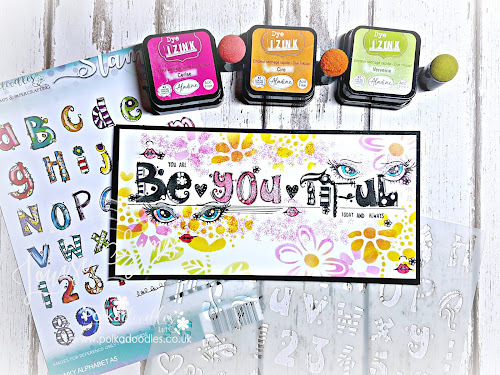 Digital stamps, whoop whoop!! Well worth entering for this one so make sure you don't miss it!! The winners of our All Things Kraft Challenge will be announced at the end of this post. Dawn: I have used a precoloured image from Work & Play 9 Love & Kisses, which can be purchased here or the full CD set here & mirror imaged it to show 2 brides as I have a friend whose daughter is marrying her partner later this year. The papers are from the same CD as well, as is the sentiment & champagne bottle & glasses. More details on my blog. Asha: I was in a super girly girl mood when I reached out for the adorable Pretty Sweet Mini CD collection. Calling it Mini is an understatement! This CD is packed with the prettiest, sweetest, most darling images and papers. I used little Maddie as my focal image and she was a delight to colour with my Graph'It markers. Maddie with Present is also available as a single download digistamp. 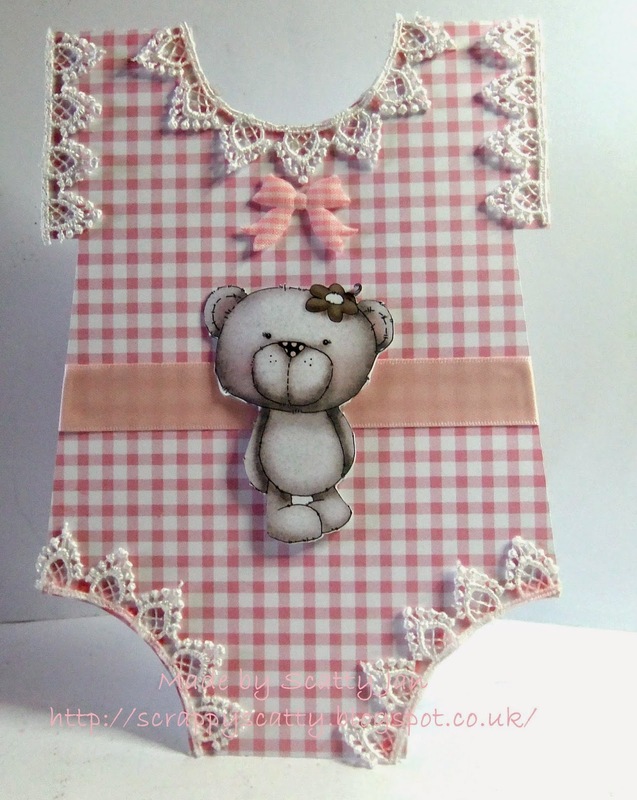 Scatty Jan - I decided to make a shaped card for this challenge - I made this sweet little baby card - The Pink checked paper is from Cherryblossom Lane collection. Added in some lace, Ribbon and a little Bow. I then added on little Etty from the Winston collection CD, which is also available as download,an also Etty as a digi that you can find here. layered up to give a little depth. 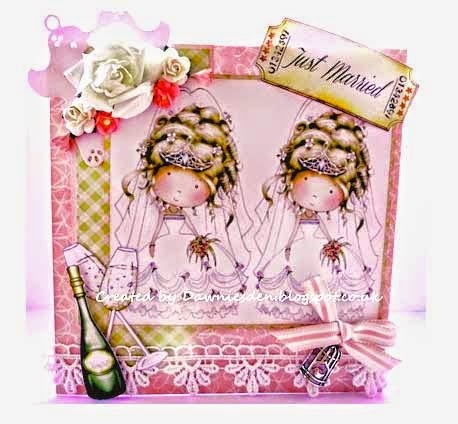 Cheremane - I have used the fabulous Work & Play 9 Love & Kisses Cd you can also get the Bride & Groom as a Digi download Here. I adore Ribbons & lace so this was a very easy challenge for me. I printed the papers and distressed the edges with Milled Lavender distress ink, I used a lace edge punch on one of the papers, I die cut the pre-coloured digi image and distressed inked it before removing from the die to get a shadow. Finally added Ribbon Lace, flowers pearls and heart charm and a touch of glitter to the brides dress to finish. 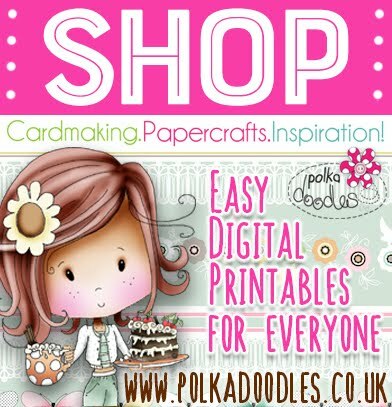 Pop on over to the Polkadoodles Shop as you will find everything for all your crafting needs and wants all in the one place. 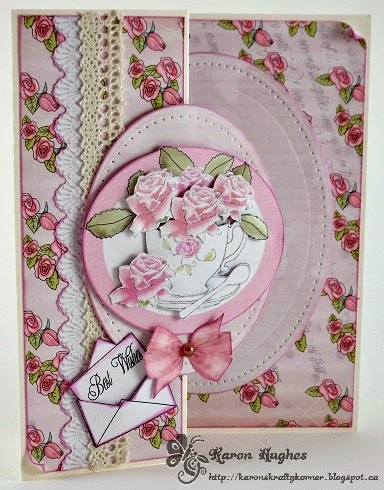 Karon - I decided to use the wonderful Rose Budd Papercraftng Cd collection. Everything on the card is from this fabulous collection, except the real bit of lace down the left side and the pearl dot on the ribbon. Even the lace underneath the lace (lol) is off the CD. Inked the edges and added a little dimension to the flowers with foam pads. Christine I used Saucy Wedding Night digi, I colored her with Spectrum Noir Markers and colored pencils. The fold is one I found on Pinterest. 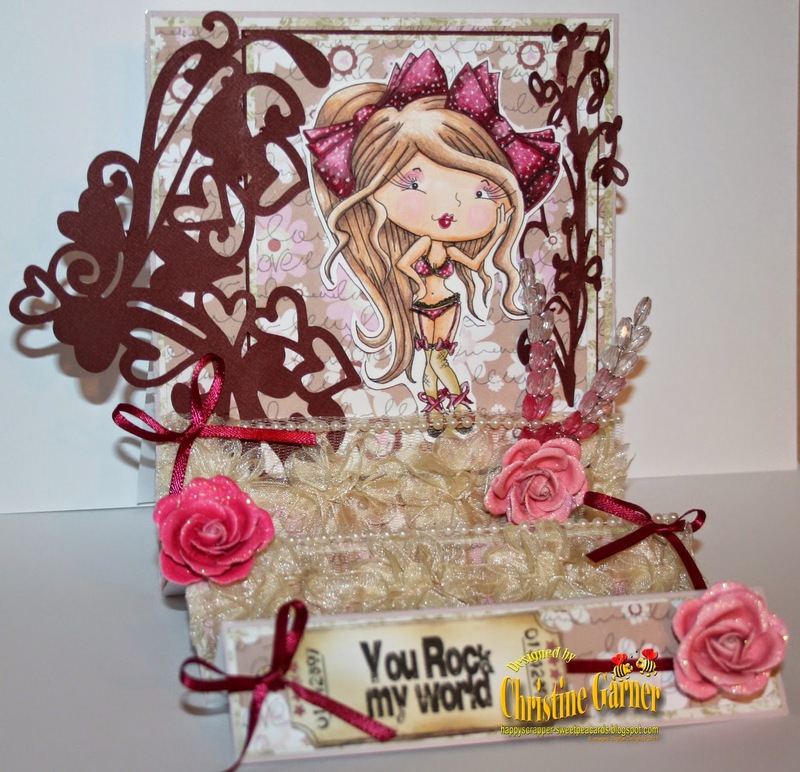 I used the cut files from the Work And Play 9-Love and Kisses Collection, and the papers from this wonderful set. 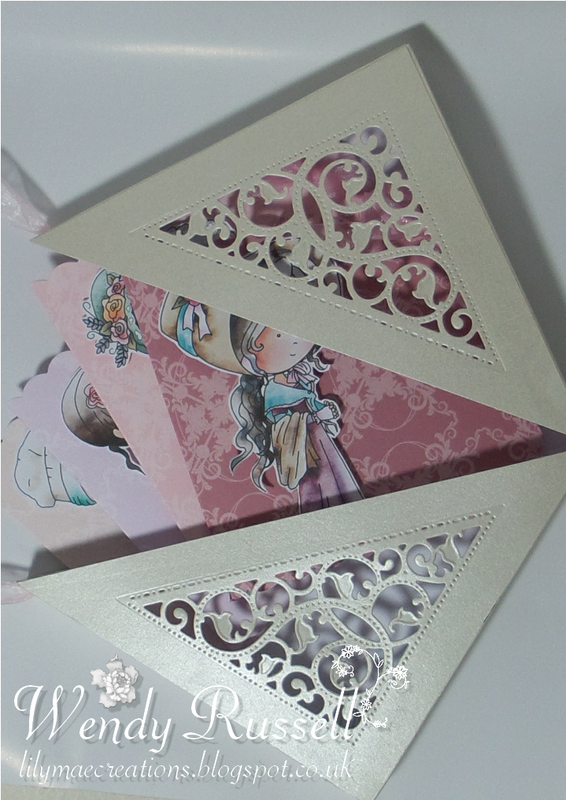 I added some ribbon and lace on the folds of my card. 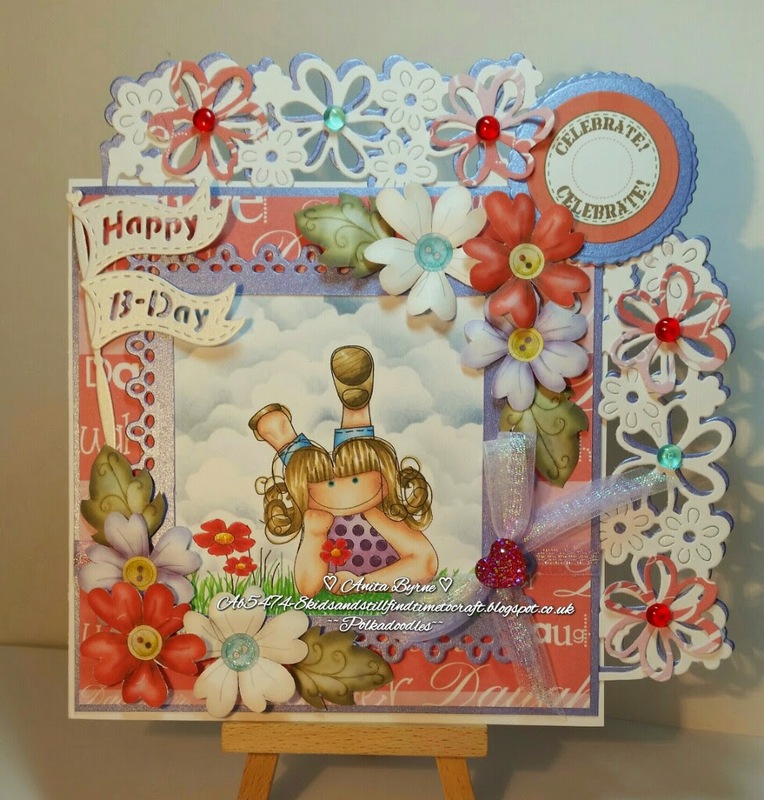 Agnieszka - hello Crafters :) Today I want to share with you my card, which I prepared as an inspiration for Ribbons and Lace. I used pre-coloured image from Work & Play 9 Love & Kisses - Full Download Bundle. 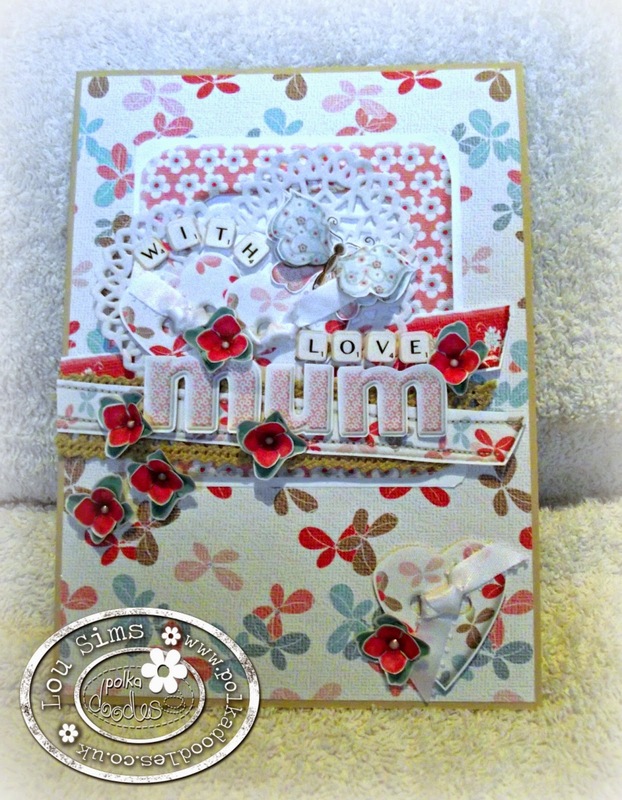 As I love a lot of embellishments on my cards - it was a pleasure created this card. 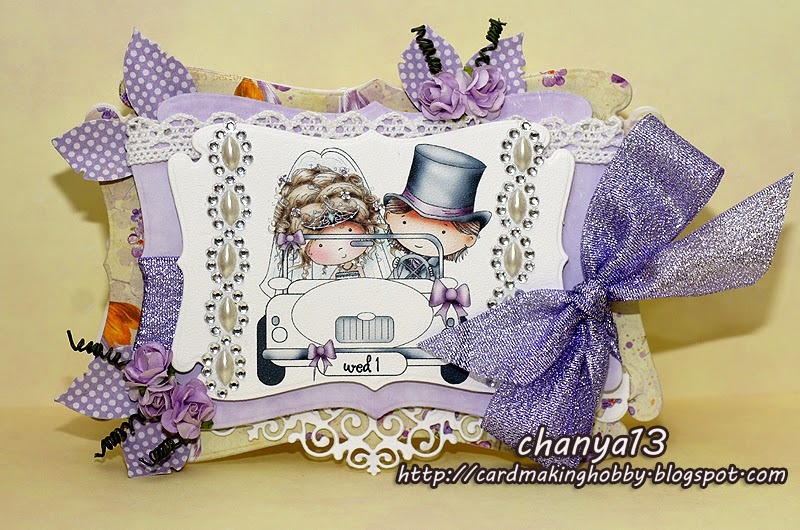 I added a big ribbon bow in purple, paper and fabric lace, a few flowers, cristals and dies cut - my card is ready, hugs. 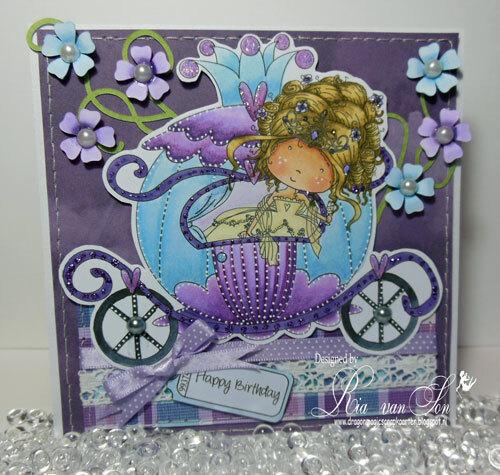 Anna - This time, I made an Easter card again, in shades of violet, with lace, ribbons, eggs and flowers. The card is made from paper from the Winston collection CD , more pics on my blog . Now onto our winner, as drawn by Random Org, from our All Things Kraft Challenge. Well done everyone and congratulations. 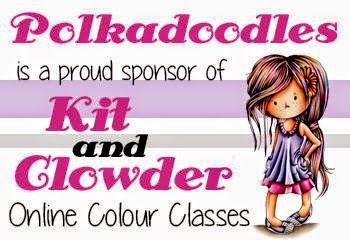 where everyone is welcome to join us and share all your fab colouring creations! Don't forget we also have a Digi Choosday group too - have you joined our Facegroup page?? We have started something new you get to vote each week on your favourite DT makes and you could win a prize!! Hope you will pop over and join us on the Facebook Community today!